It’s been a busy couple of weeks locking down some of the design aspects of the home and finalising budgets. When conceptualising the deck on top of the garage, Matt Wilson from S3 Architects suggested a green roof. To be honest, apart from seeing them in various Council presentations (and a few rumours of DIY projects going literally sour, with trapped water turning septic), this was an area of green building with which we weren’t terribly familiar. After some interesting meetings and quite a bit of research, we’ve determined that there, unsurprisingly, isn’t one “right” way to build a green roof! Ranging from DIY to pre-grown systems that are planted in advance, there are so many options to consider. Because the roof of the garage is flat, we need to waterproof it anyway, so using a membrane and then placing a drainage system and lightweight growing medium over the top sounds logical, and also appeals to our aesthetic sensibility. A rooftop oasis certainly sounds lovely! 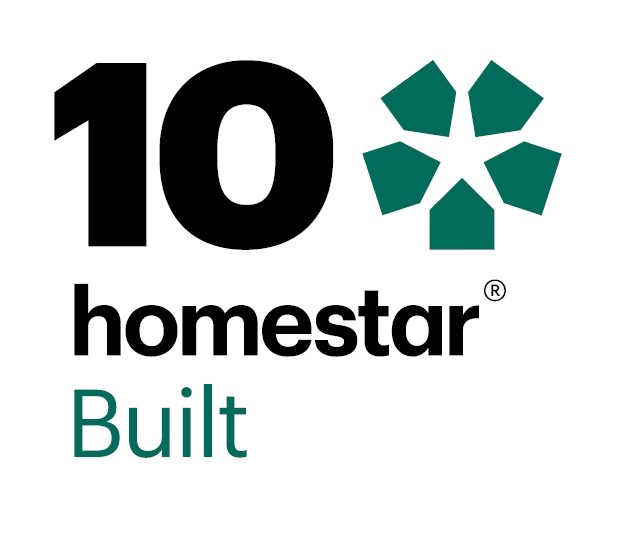 Additionally, a green roof would contribue to our overall score within the HomeStar rating. However, before we start mentally planting, we’ll need to do some careful budgeting and engineering to see how a green roof may impact our current structure. One of the estimates we’ve been given is 200kg/square metre for a fully saturated system, so that means the 38m2 garage would need to support up to 7.6 tonnes of weight. At least we’ve got a solid timber substrate to work with, which will be far less complicated than traditional joists, bearers, and plywood – we just need to ensure we get the correct specification. We’re also delighted to have a range of suppliers join our project over the past couple of weeks, from door hardware from ASSA ABLOY, through to specifically environmentally conscious products like Envirocrete from CEMIX. We’ll be needing to work closely with ASSA ABLOY with regards to their Henderson door tracks when it comes to designing cost effective sliding louvres for the western side of the house. The evening western sun can be harsh in summer, and we don’t want the house heating up like a greenhouse. Hume Doors will be supplying the over-height 2200mm internal doors, and some of the cavity sliders. pro clima have recently had their external wall wrap, Solitex Extasana, CodeMark certified. After being in the industry for years, there are a wide range of wall wraps available, each with their own pro’s and con’s. I have been impressed with the immense water-tightness of the Solitex Extasana, and having the CodeMark certification (the Department and Building and Housing’s own certification system) gives us complete assurance that it will fly through the consent stage at Council. We’re also pleased to have been featured on the Envivo website. (click here) The completion of the survey meant S3 determined that the house was infringing on height restrictions on the eastern side. This has meant trimming the overall structure by about 200mm, and also shifting it west (up the slight slope) another metre. Last but not least, iDEAL Electrical have been working furiously behind the scenes on assessing the best energy efficient electrical products and systems for the build. Philips have pledged their assistance with design and materials, and we’re very keen to demonstrate innovative LED lighting products. We will be posting specific articles on what products we end up choosing, and why, and what benefits they will have over other products on the market. We’re a week out from Christmas, and the building industry is winding down for the holidays. Even though we want things done NOW, the project will mostly go on hold for a few weeks until mid-January. We’ll be back then with more updates! Merry Christmas and Happy New Year! Some pictures provided from from Viking on their roof membrane system during our research, just used in the Taranaki. How good is this going to look when completed! The survey was completed this week by Envivo. Although the section is mostly flat (43m long by 20m wide) it has a slight fall to the south, and to the east corner. We need the exact contours in order to calculate height from boundaries, as well as to determine whether we will need to carry out any earthwork. Although the house itself is intended to be on piles (for fast erection and exchanging concrete with more carbon neutral timber) (now concrete pad construction) we may look to level out some of the site using the soil displaced from the two water tanks that need to be buried rather than transporting and dumping elsewhere. Welcome to the blog of the iDEAL House. Over the next six months or so, join us on a journey of groundbreaking residential energy efficient construction in New Zealand. The project is the result of several years working with the School of Architecture at the University of Auckland, with initial concepts being drawn by Paola Leardini (Lecturer) in mid-2012. It is situated in beautiful Beachlands, a thriving coastal community located in the Pohutukawa Coast region of Auckland. The iDEAL House plans to be one of the most efficient in New Zealand, whilst keeping to a “main-stream” budget. Designed for a family of five, it not only aims to be a comfortable, healthy, energy-conscious home but also to produce a surplus of electricity which will be fed back into the national grid. The project’s primary supporter is iDEAL Electrical (Rexel Energy Solutions) who will be the supplier of LED lighting, Photovoltaic (PV) Generation, and electrical supplies. The project is also supported by a wide range of innovative New Zealand companies who are showcasing their progressive products and services in this build. Key features of the structure, which will be detailed during the construction period, will include a high level of insulation and air-tightness, double (edited 9/13) triple- glazed lowE windows, heat exchanged ventilation, recycled materials when practical, water harvesting and conservation as well as specific energy efficient design. We’re building on the experiences from recent eco-builds such as the first certified Passive House in Australasia which was recently completed in Glendowie, Auckland. Our hope is that our own experience designing and building the house, along with publishing them on this blog, will make energy efficient building more transparent and accessible to a wider range of people. We also hope that others will be encouraged to pursue energy-efficient design and sustainable construction methods. Following the completion of the project, the IDEAL House will be open one day per weekend on a fortnightly basis to interested parties. We look forward to you joining us on our journey.